There are so many wrongs that have happened at Miss Illinois over the last few years. The gross favoritism shown towards Kate Shindle when she competed for Miss Illinois is the most compelling. Kate competed in the Miss Chicago prelim first and was chosen first runner up. She then competed for Miss Lake Cook (one of the very few that State Executive Director Fran Skinner Lewis attended that year) and won. At that preliminary she made a comment to a young girl backstage, who just happened to be the daughter of one of the judges at that prelim. She told that girl that her father was on the Miss America Board of Directors. Well the young girl was not only a daughter to one of the judges but her mother just happened to be the Executive Director of Miss Chicago, the prelim she had previously been first runner up in. This director was Amalia Schwerdtmann. She immediately called the State Director Fran Skinner Lewis and informed her of Kate's father's affiliation with Miss America. This was in early April and the state pageant was not until June. The whole situation was shrugged off as not important, however Amalia was dismissed from her position as Executive Director of Miss Chicago with-in 90 days by Fran Skinner Lewis. Fran Skinner Lewis then proceeded to contact other local directors in the Illinois system and indicate that Amalia was just a trouble maker and that she had gotten rid of her for that reason. 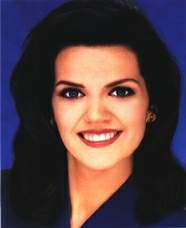 Ultimately Kate Shindle was chosen as the 1997 Miss Illinois. There was quite a lot of controversy during the pageant. One of Kate's judges was from New Jersey her home state and within a short distance of the residence of her parents. Another judge was a graduate of Northwestern University which happened to be Kate's own University at the time and a third was affiliated with the Miss America Board of Directors of which her father was a member. This dually noted Kate proceeded to win both the talent preliminary and the swimsuit preliminary. Both were a joke to a large portion of the audience as the competition was very keen. She was obviously the chosen one in the eyes of the judges. Kate herself was very surprised when she was announced as the swimsuit winner. She would tell you herself that she was not physically fit and had on a very poor fitting swimsuit. That very same year the fourth runner up was chosen by Ms Lewis to take over the title of Miss Illinois to replace Kate Shindle the new Miss America. We all know of the controversy after Kate won when the press found out about her father's affiliation with Miss America. Well Miss America rules call for the top five finalist to be offered the position of State Queen in succession. Fran Lewis contacted the first, second, and fourth runners up. She neglected to contact the third runner up. When the third runner up called Fran on this she was told by Ms Lewis that because the press had already been notified and because it would be very embarrassing for the Illinois program if she were to demand her place that if She persisted it would look bad for the Illinois program. She also told her that she did not want her to take over the title because she would be chosen as Miss Illinois the very next year. The contestant was then told to follow all of Fran Lewis instructions to guarantee her the title. For one full year this young woman consulted with Robin Elliott Ltd. and Karen Dewert of Backstage Designs as to hair, make-up and attire for the upcoming pageant at Fran Skinner Lewis instructions. She followed all instructions to the letter. On the final night of the 1998 Miss Illinois pageant this young women stood on stage (looking entirely different than she had the two years pervious when she had finished as 1st runner up and then third runner up) as one of the five finalists. She however was named as fourth runner up. Another contestant also started out with a very good chance of winning. This contestant was chosen as preliminary swimsuit winner the first night of competition. She was over the first hurtle and running. The next night was her talent competition. She was a gymnast and would hold her own in the talent competition. That day she fell ill in the morning but no doctor was sought to look at her. Even when an emergency room nurse, who was a wife of one of the Miss Illinois local directors, volunteered to see her the contestant hostesses who were responsible for her twice declined the offer. One of the hostesses took it upon herself to give this ill contestant someone else's prescribed medication. By the afternoon this young woman was becoming increasingly worse but still no one took her to see a doctor. Finally within hours of the evening competition a doctor was called. With her competitive spirit she insisted on competing. Within the first 20 seconds of her routine it was obvious that she was not well and was not going to be able to finish. To the amazement of her friends and family she made it (in very poor condition as well as very poor performance) to collapse to the floor just as she walked off stage. Later she was rushed to the emergency room of the local hospital. Within a few hours she was feeling much better and returned to the hotel that the contestants were staying at. She was able to continued on the final night and was named to the top 10 finalist. Still weak she was not in top form during her talent routine. She failed to be named to the top 5. She is 24 and can never compete again. Her director, Donna Clark, had been very vocal about her treatment to State Director Fran Skinner Lewis. To this day she will tell you that her local title holder was a top contender for the title of Miss Illinois. However the feeling she expresses is that she was not wanted as Miss Illinois by the powers that be. She even mentioned the word sabotage might be appropriate for a description of what happened. The day before this young woman's preliminary talent Donna got into a confrontation with Fran Skinner Lewis about the treatment given to her contestant by one of the hostesses. The day after the final pageant Donna stated she was present when Fran Skinner Lewis offered her contestant a position with the Miss Illinois Program as media coordinator for the state. Nothing more has ever been mentioned to this young women (who went on that year to become the morning anchor for a CBS affiliate TV station in Illinois) about that wonderful position with Miss Illinois. One wonders if it were to just keep her quiet about her ordeal at the pageant that week. This same young woman went on in November of "98" to compete at the Miss Illinois USA pageant and placed as 1st runner up. The day after the Miss Illinois pageant all the contestants were forced to stay to participate in a July 4th parade and picnic as well as dinner and fireworks display. The fact that they were forced to stay caused quite a lot of discontent among the contestants. Finally after much complaining (and even one contestant throwing her luggage out a second story window to "escape" as she put it) the contestants were allowed to leave. This was around eleven o'clock in the evening on the 4th of July. Some of the contestants had been served wine at the evening dinner (which is in direct violation to the Miss America rules) but were allowed to leave anyway as well as drive. Within 10 days of the pageant Donna Clark states she was contacted and told that she could no longer be a director or judge a preliminary in Illinois because of a rule in the Miss America program. The rule stated that you could not provide a product or service to a contestant or a potential contestant and if you did you could not direct, judge, be on staff or on a committee. Even though she had been a local director for the past three years and during that time, she had owned and operated a prom and pageant shop for that entire time and three years previously no one ever suggested this ruling to her. That is until she stood up to Fran Skinner Lewis. When she asked other local directors who had been in the system for over 25 years none of them were aware of this ruling. According to Donna, even Fran herself knew of Donna's shop. Donna states that her ignorance became her shame when people were told that she broke the rules. For years though, Robin Elliott of Robin Elliott Ltd. a pageant shop and Karen Dewert of Back Stage Design, a makeup consultant, have been on the Miss Illinois Staff. They have been exclusively listed by Miss Illinois for several years. Robin Elliott has been the only person that has ever supplied the pageant costumes that each contestant is required to purchase. Not to mention several other local directors who provide a product or service ( such as Mary Kay consultant, vocal teacher, and piano teacher to name a few) to contestants as well as potential contestants. For the last three years Fran Skinner Lewis has personally named both Robin Elliott Ltd. and Karen Dewert as the place to go to contestants at the introduction or staging weekend and they like to call it. During the last six months several people have investigated the operation of the Miss Illinois program. They discovered that there were numerous other local directors and volunteers as well as board members, who were also let go because they too did not agree with Fran Lewis, or have quit because they felt that there was gross mishandling of the program. As records of past 10 years show there has been a serious decline of gifts awarded to Miss Illinois. In 1990 Miss Illinois received 23 gifts from different benefactors which steadily declined. In 1998 Miss Illinois received 8 gifts. When contacting some of the benefactors who no longer donate and asked why they don't donate gifts anymore there were answers like " I am not asked anymore", " When I asked for Miss Illinois to make an appearance for us I was denied" , "They made us feel like we weren't good enough to be there." Miss Illinois is now held in OakBrook Terrace, Ill. For the event being held in their city OakBrook donates in excess of $120,000.00 each year. In 1991, before OakBrook Terrace was Miss Illinois sponsor, the winner of Miss Illinois was awarded $10,000 in scholarship money. In 1998 after OakBrook Terrace was their sponsor Miss Illinois was awarded $11,000.00 of which $6,600.00 was from other benefactors. "Where has all the money gone?" Maybe someone should ask the mayor of that fair city what the expenses for Miss Illinois actually is. An expense report is submitted to them each year by Miss Illinois. A new group of people (professional business men and women) from all over the state of Illinois recently applied for the state franchise to Miss America hoping for a new approach to the program. Their request was declined and a two year franchise was awarded to Fran Skinner Lewis. Numerous letters and information from former Miss Illinois volunteers, contestants, directors, and board members have been sent to Robert Beck the new CEO of Miss America. However nothing was ever done nor was there even an investigation to their knowledge. Everything went unanswered. Donna Clark was even informed through channels that she could not even help the new director of her local, even as a volunteer. Donna states that she has donated time, thousands of dollars, as well as energy to her local program and state program. She wrote to Robert Beck for a ruling on this three weeks ago. To this date there has been no reply. The controversy surrounding Kate Shindle and her fathers affiliation with Miss America has caused some people to sit up and take notice. After hearing all the information in this article you must think that maybe it even goes deeper than that. It appears that maybe somehow Fran Skinner Lewis had a hand in the out come of the 1998 Miss America. Possible she has something over someone big within the system and that is why she is allowed to continue to be the Executive Director for Illinois. This is an opinion. It is felt by many former members of the Miss Illinois group. Sources tell me that she is not liked by most of the other State directors and has no report with any of them. She was voted down as President of NAMASP 15 to 1 much to her dismay. I, too, am a former director of a local Miss Illinois Prelim. I am very well acquainted with most of the "facts" in your web page, and to my knowledge, directly and indirectly, most of it is indeed TRUE. Where did you secure your facts and what is the purpose of this page now? It seems the more we push the more we fall. Why are Beauty Contest Winners not Very Beautiful?